We don’t like to waste bandwidth, especially when our ISP is quite limiting when it comes to data. Yeah, we survive on half a terabyte of data on a monthly basis. While that does seem large at first glance for the average user, it’s not exactly the case for a SOHO setup like ours. Collaborating with data up above the cloud can easily take a chunk of that, not to mention unreliable during downtimes. So, yeah. 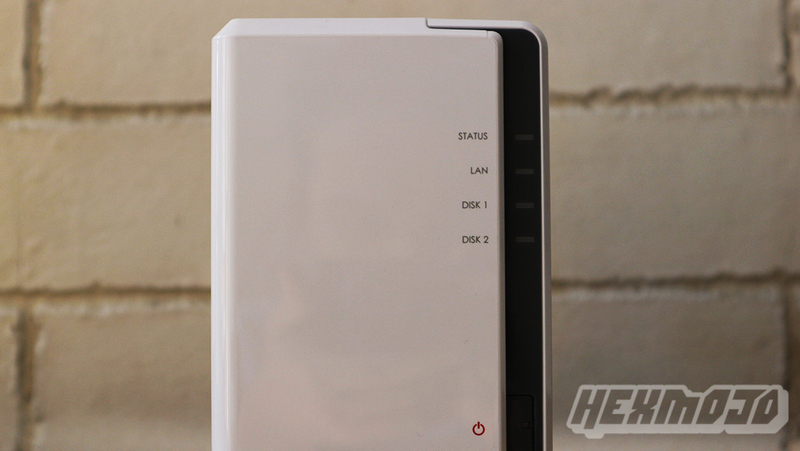 We’ve upgraded to a proper NAS in our HQ, and we have the help of Synology’s DS218j to do just that. But is it what we’re all hoping for? The Synology DS21j comes in quite a simple carton packaging. It’s not exactly loaded on that front with info, but perusing users could get enough data from the stickers containing its key features and specifications slapped on the front and back. Moving forward, the DS218j is bundled with the necessary accessories to get you kickstarted on your network storage. There’s a 1m network cable, an AC/DC power adapter, a power cable, a set of screws, a quickstart guide, and a tiny metal stabilizer that does what its name implies. 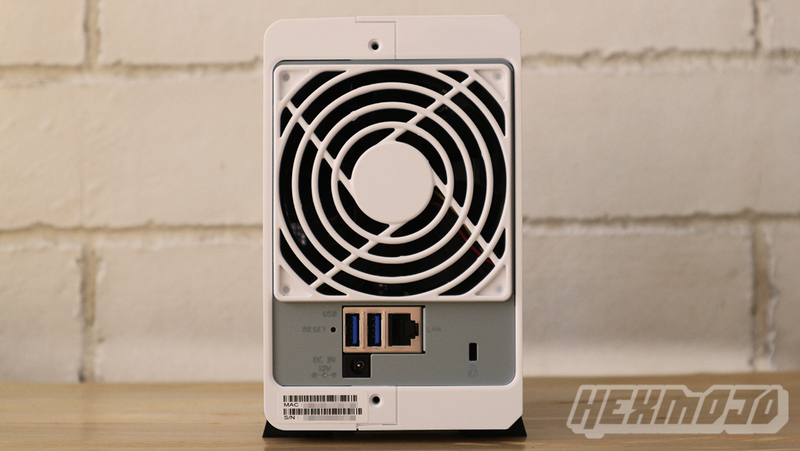 The DS218j is a two-bay NAS that comes in a simple yet classy white box that can sit nicely on a table top. It’s quite compact at 222.5mm and 100mm wide, so that give you plenty of options when you’re looking for spaces to put it on. Ours sits beside the router connected via the supplied RJ45 cable. The front gives you an overview through its LED lights for status, disk activity, network connection and power. 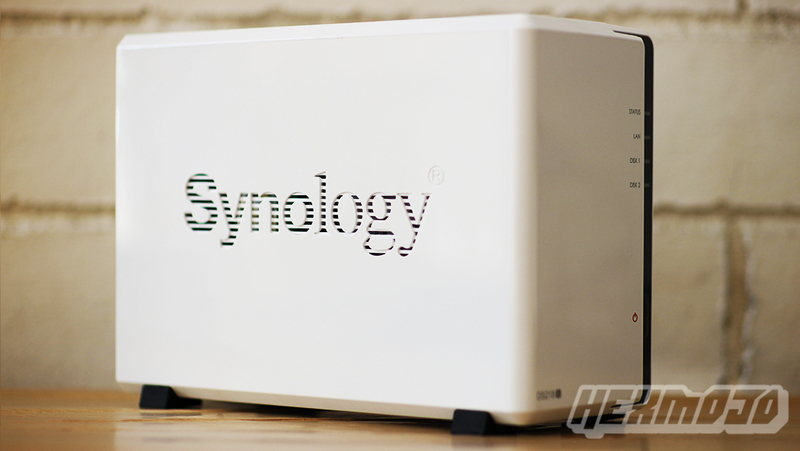 Both sides carry Synology’s branding, while the back houses the grill for the 92mm fan, two USB 3.0 ports, the power adapter port, Ethernet port, and Kensington lock slot. At the bottom are four rubber feet that will keep it in place. It’s a pretty basic NAS, so you’ll be getting the essentials to get you kickstarted on network storage. At this price point, we can’t really complain on the lack of features such as a one-touch backup, a hot swap tray, and the like. Oh, and a 2.5-inch adapter would also have been nice if it were included in the package. But then again, that’s not going to be a problem at this price point. Installation is also rather simple – you can access the drive bays by opening the two parts of the DS218j’s shell. After that, slot in your drive/s into the drive mounts and screw them in to keep them stable. It makes standard room for 3.5-inch form factor drives, although 2.5-inch HDDs/SSDs would require an adapter that’s sold separately. You could also just leave it lying down mounting it vertically, but without the drive stability you probably won’t risk it. When it comes to network storage, performance accounts for two things – usability and speed. 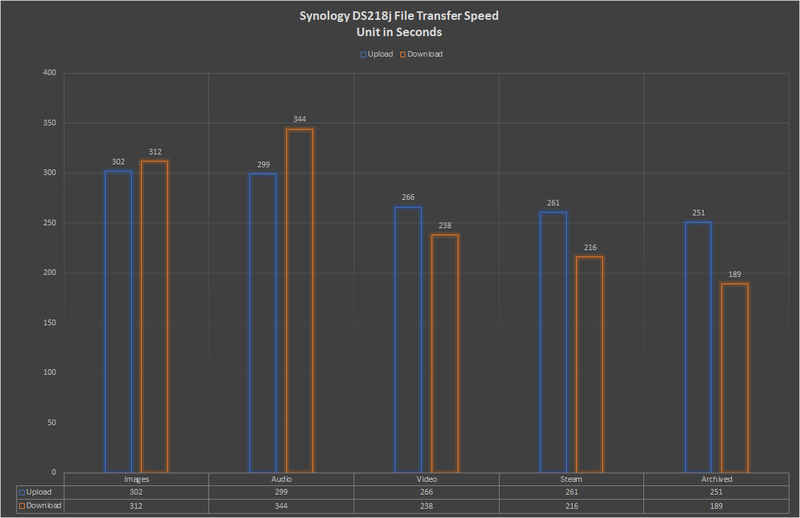 Now, transfer speeds would depend on plenty of variables and factors such as your setup, network connection and congestion, and devices in play. 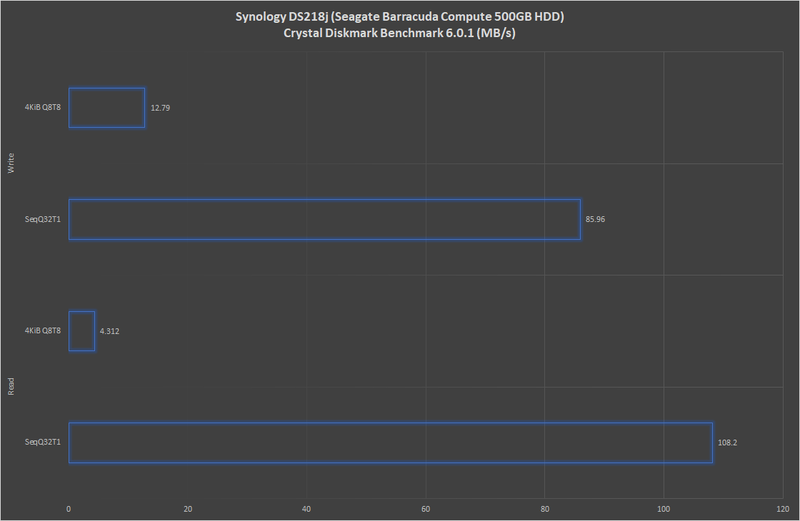 For this one, we’re using a Seagate Barracuda 500GB 7200rpm HDD on the DS218j over a wired cat5e ethernet connection (10 meters). 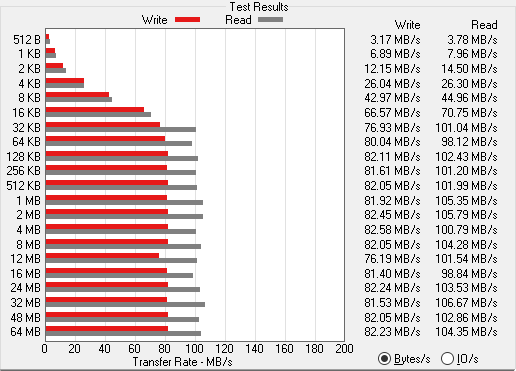 We mapped the network storage for a more convenient approach in transferring data files and performing our test methodology instead of relying on the GUI as well. In this scenario, we produced 20gb each for videos, music tracks, images, steam files, and 1 single archived file. These files are transferred back and forth to a Plextor M9PeG 512GB NVMe SSD. Setting up the DS218j is quite a straightforward affair in our books. You'll begin with your browser to initially setup the NAS, and once you've located it you'll be required to install DSM, which is Synology's Linux-based OS. You can utilize this GUI, which would be useful if you want to get access on the apps that can be of use to you, as well as get access to the Control Panel where you'll manage most of your settings. This is actually where things get confusing. 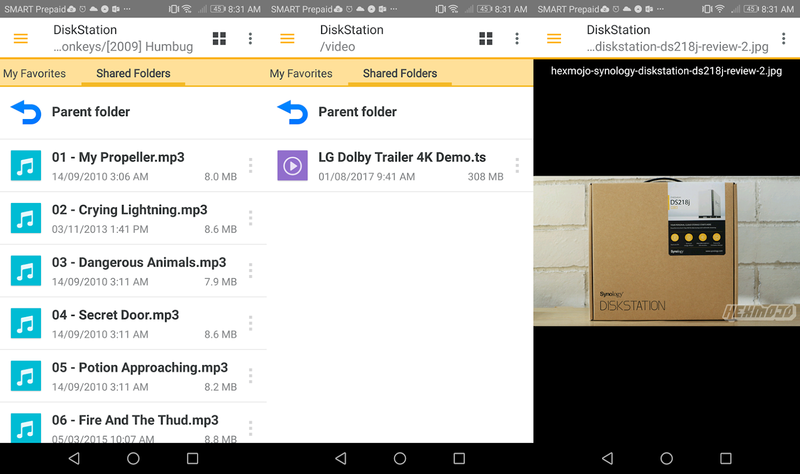 Synology offers a handful of apps on the Google Play Store, but getting the right one to work requires more info on the subject say, installing the package through the DSM and download the corresponding app for it. We had to look around just to check which apps will work on it. But once you get it done, it's a breeze from there. 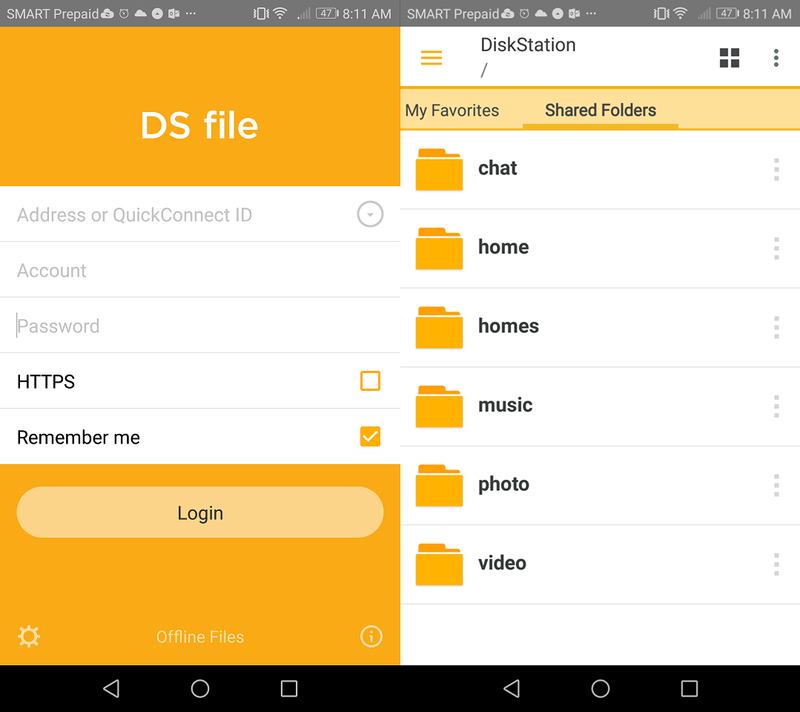 The DS File app lets you play your audio tracks or preview images from the app, but videos would require an external app for playback. 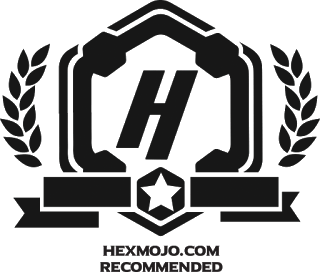 We first believed that the idea of a local network storage wouldn't be as beneficial to our setup because it was just too easy to transfer files in between systems through the cloud and flash drives. However, with more data we process and exchange, we'd go for something that defines efficiency at the least. 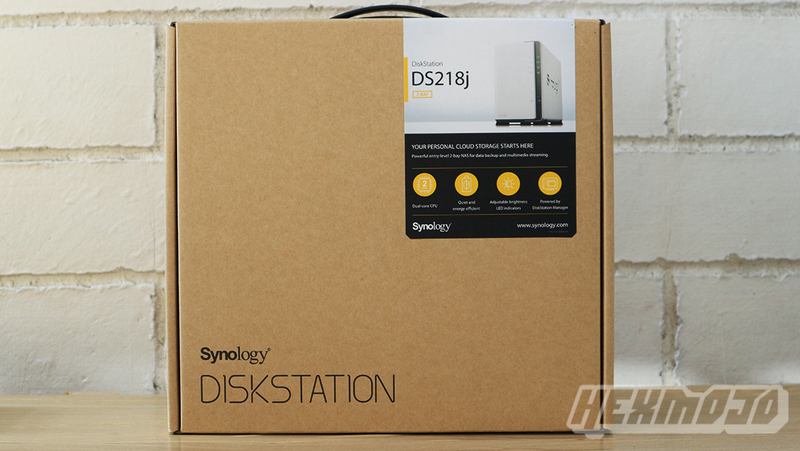 Now, Synology's DS218j might be an entry-level offering, but with it, its price and features are already defined. With that said, it's definitely a cost-effective solution that delivers efficiency on your workplace setup. 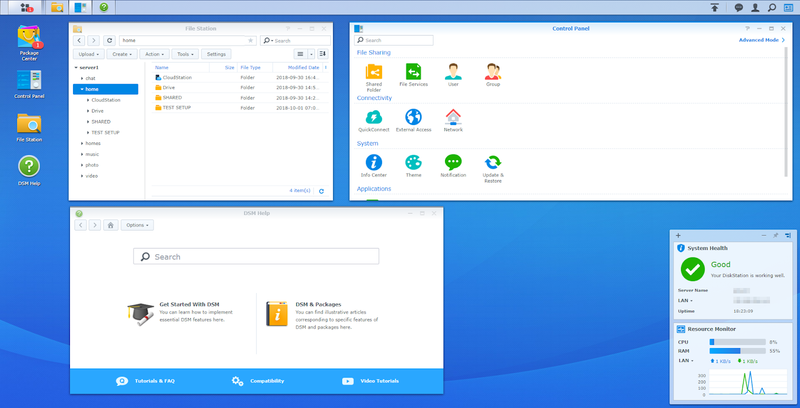 Synology's DSM is straightforward and user-friendly, while still offering a multitude of useful applications in store as well as access to deeper settings. The mobile app offering could be better, though. 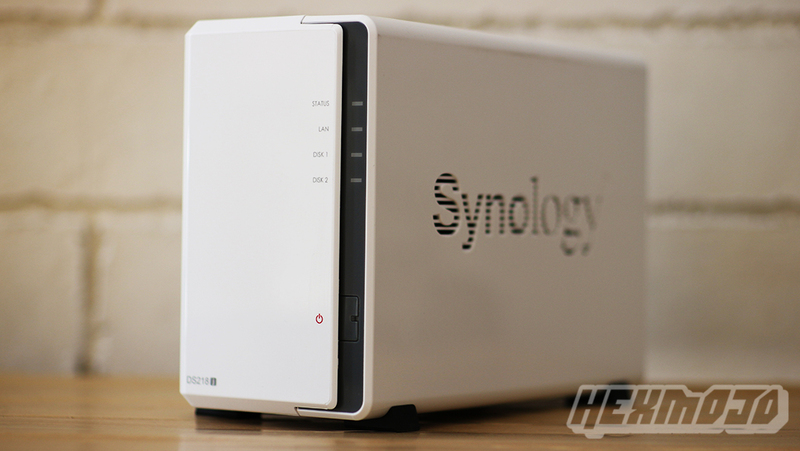 Simply put, retailing for around Php10,000, the Synology DS218j presents as a compelling offering as it commands beautiful features and design with an attractive pricepoint to match.